In his message for the 55th World Day of Prayer for Vocations, our Holy Father, Francis, teaches us that "even amid these troubled times, the mystery of the Incarnation reminds us that God continually comes to encounter us. He is God-with-us, who walks along the dusty paths of our lives. He knows our anxious longing for love and he calls us to joy. In the diversity and the uniqueness of each and every vocation, personal and ecclesial, there is a need to listen, discern and live this word that calls to us from on high and, while enabling us to develop our talents, makes us instruments of salvation in the world and guides us to full happiness." Pope Francis goes on to say that "these three aspects - listening, discerning and living - were also present at the beginning of Jesus' own mission, when after his time of prayer and struggle in the desert, he visited his synagogue of Nazareth. There, he listened to the word, discerned the content of the mission entrusted to him by the Father and proclaimed that he came to accomplish it "today" (Lk 4:16-21)." Dear friends of Nazareth, we know that our Lord continues to call others to follow Him. Many are convinced that they need to be perfect before they can respond with a generous "yes" to God's call. Instead of opening their hearts to the voice of the Lord, they become fearful because of their limitations so they sit back and wait. Today, and throughout this week, we are called to pray for those who hear God's call but are sitting back and waiting. 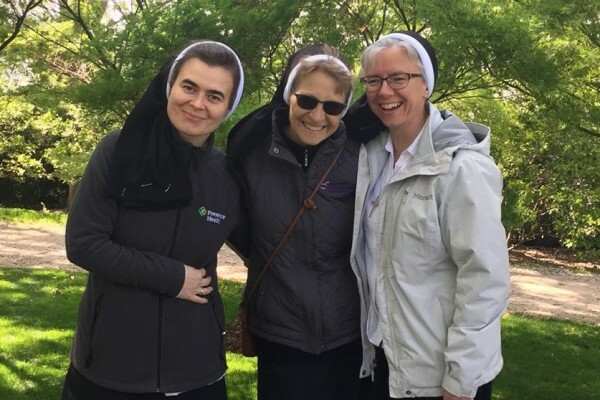 We invite you to join with us in praying for vocations and for all those who are discerning that they may listen to God's voice, find their own personal mission in the Church and the world, and respond generously to God's call.